Free Studio is a ultimate all in one audio and video tools collections that includes 20 tools. Using Free studio you can copy, burn, backup and convert DVD video. Join/merge, split, convert, download & burn audio and video files. The Free Studio is a converter using which you can covert videos to PSP, iPhone, iPod and mobile phone formats. This tool allows you to convert video files to DVD format. Using this tool you would be able to convert your video files to flash format. Convert all your video files to 3GP format that you can using it in your cell phone or mobile phones. This tool converts the video files to format that is usable by Apple iPod, Apple iPhone, Apple TV and Sony PSP. A tool that exclusively converts videos to iPhone format. This tool extracts the audio from your video files in MP3 format. This tool allows you to extract the video as JPG files. Here you have the option of having extracting the JPG images from video using either frames or seconds as an extraction criteria. Free audio converter allows you to convert your audio files to MP3, OGG, MP4, AAC, WMA and WAV formats. Free DVD Video Burner writes prepared DVD videos, files, folders, like Video_TS from your PC (hard drive) to a DVD disk, which can be played on all home DVD players. Writes DVD-Video discs from any valid Video layout. Supported Media Types: BD-R / BD-RE (Blu-Ray ), DVD-R Double Layer, DVD-R Dual Layer, DVD+R / DVD+RW, DVD-R / DVD-RW, DVD-RAM, CDR / CDRW. 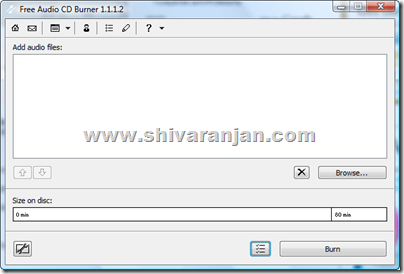 Free Audio CD Burner creates audio CD from WMA, WAV and MP3 files. 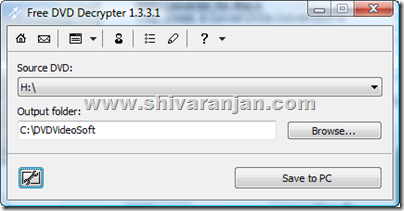 Free DVD Decrypter copies the DVD video to your computer. You can use this tool to backup your DVD video or movie discs. Free YouTube Download allows you to download video files from YouTube and save it as AVI, MP4, 3GP or FLV files. This tool allows you to directly download and convert the YouTube videos to iPod and Sony PSP format, just add the YouTube video URL rest this tool will do it for you. This tool allows you to directly download and convert the YouTube videos to Apple iPhone format, just add the YouTube video URL rest this tool will do it for you. 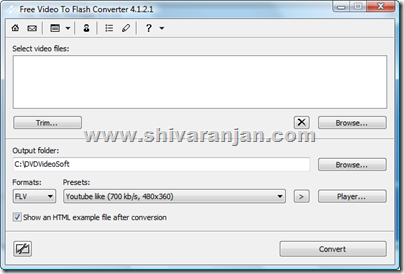 Extract audio from YouTube videos in MP3 format using Free Youtube to MP3 converter. Just add the YouTube video URL utility will download and extract the audio as MP3 file. Use this tool to upload your videos to YouTube right from your desktop rather from the web browser. Free Video Dub is a video editing software that allows you to edit video files of following format: MPEG 1, MPEG 2, MPEG 4 AVI, MOV, MP4, M4V, MPG, FLV, DivX and XviD files. Free Audio Dub allow you to edit your audio files of the following format: MP3, WAV, AAC, AC3, M4A, MP2, OGG and WMA files. 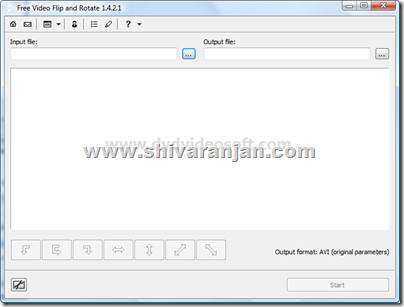 This tool allows you to rotate and flip videos which can be saved. This is one of the free audio and video tools collections that we have come across. This is a must have tool that we can recommend. I have to say that for the last couple of hours i have been hooked by the impressive articles on this website. Keep up the wonderful work.